This event is hosted by, Gordon from Sesame Street. This day is full of free fun-filled activities, family oriented entertainment, and special main stage performances by Katie & Racer Steve, Rebecca Frezza & Big Truck! The night finishes off with a spectacular Target Fireworks show! 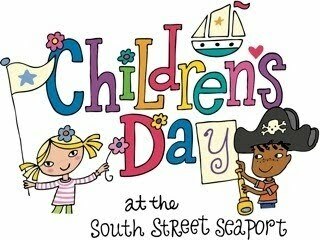 Click HERE for the official Children’s Day site. I think we will head over to the seaport and take a look, grab a bite and get ready for some entertainment.